Once you realize that most of the work done by professional-level employees involves solving a series of complex problems in a team environment, it makes sense to ensure that you assess a candidate’s problem-solving capability. The smartest recruiters and hiring managers go the next step and focus specifically on how a candidate solves problems. The ideal hire uses their intellectual curiosity to seek out the widest range of possible solutions beyond their initial personal choice. And, the candidate systematically consults with a broad array of stakeholders to ensure that the optimal solution for all concerned parties is chosen. Initially, it might seem like a lot of extra work to assess these two traits, but the absence of these traits among team members may cost your firm millions. All too often, only the most obvious solutions and those that narrowly reflect your team’s interests will be chosen. As a result, innovation, your competitive advantage, and your business results will all suffer dramatically. The approach of hiring candidates based on their level of intellectual curiosity was pioneered almost a decade ago by Google. Intellectual curiosity among team members enhances the problem-solving process at the very beginning because curious individuals are not satisfied with simply knowing that there’s a problem. Their curiosity drives them to dive deeper in order to identify the root causes of the problem. Thus they will likely select only a solution that directly addresses these underlining causes. When it comes to selecting a solution, intellectual curiosity also drives team members to go beyond the most obvious solution that they and others are most likely to embrace initially. And their inherent interest in learning more causes them to explore a wider range of solutions that have been successful not just within this function but in other functions and even other industries. The intellectual aspect of their curiosity also forces them to assess problems and solutions using data rather than intuition. The net result of having intellectually curious new hires is that the team’s process of problem solving will be more data driven. And, it will identify and then fully explore and objectively consider and evaluate a broader range of not initially obvious solutions. The broader data-driven approach is much more likely to produce superior results because of its uniqueness. The solution is much more likely to provide the organization with a competitive advantage. Many problem solvers have an extremely narrow, almost ethnocentric, perspective. They define problems and select solutions based only on their own individual, team, and functional interest. However, such a selfish or localized approach in an organization where so many elements are interrelated and interdependent may result in solutions that help one team but inadvertently actually damage another. Solutions with 100 percent localized focus will likely downplay or even ignore the needs of other corporate stakeholders. Missing the many positive impacts of collaboration and involving others means that having new hires who fail first to identify and then to consult with the stakeholders who are impacted by a problem and a solution will be problematic. 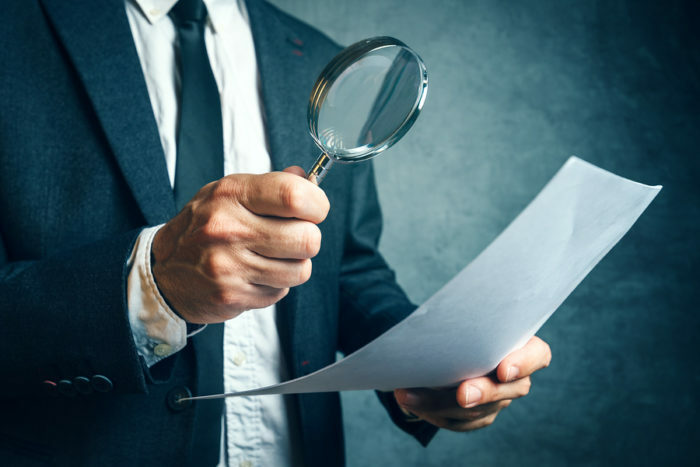 That’s because many of the identified solutions will likely have multiple unidentified “unintended consequences.” The unintended consequences may dramatically harm the operations and the results of other business units and stakeholders, including those that might, in fact, have a higher corporate priority. So, the primary result of hiring team members who are not automatically consultative will be that the selected solutions will be less than optimal for the entire firm. In addition, the leader and the team will likely earn the reputation of not being collaborators and team players. Those with intellectual curiosity and those who are self-directed learners are also likely to be more productive and more innovative new hires. If you only want to know how to identify problem solvers during interviews, I would refer you to my article covering the subject in the Harvard Business Review. However, if you want to go further and assess how a candidate solves a problem, look at what steps they include or leave out when they are asked to solve a problem. During an interview or as a standalone exercise, give each finalist a real problem that they will likely face in their new job. After you give them the problem simply ask them to “walk you through the steps” that they would take in order to solve it. Within the problem-solving process steps that the candidate provides for you, look for indications of at least four of the nine following actions that quickly identify whether a candidate has a high level of intellectual curiosity. A learning plan — The candidate noted that they would put together a plan to rapidly learn and to become a subject matter expert in the problem area. They delay picking any solution until their intellectual curiosity is satisfied. ID root causes — They make a systematic effort to identify the root causes of the problem at your firm. Consult with experts — They identify and read the writings of subject-matter experts and then they directly consult with more than one of them. Benchmark solutions — They thoroughly benchmark best-practice solutions both within and outside their function, their firm, and their industry. Use of data — They quantify the dollar impact of the problems they encounter and use data to find and narrow down solutions with the highest likely business impact. Objective criteria — They develop objective data-based criteria that have been run by stakeholders for selecting the final solution. ID likely problems — They compile a list of problems that will likely be encountered with each major solution. Metrics to learn — They include a complete list of “results metrics” in their solution, so they can definitively learn what worked and what didn’t. Analysis after failure — In their implementation plan, they include a requirement to conduct failure analysis whenever a major element of the solution fails during operations. You may also be able to identify candidates with intellectual curiosity and learning ability through their LinkedIn profiles or resumes. Search for keywords and phrases like intellectual curiosity, passion for learning, a growth mindset, benchmarking, literature review, became an expert, I was a quick study, in order to satisfy my curiosity, or I sought out experts. If you need more details, I have written a much more comprehensive article on how to assess intellectual curiosity and a candidate’s learning ability here. Identify stakeholders — The candidate included a step for systematically identifying stakeholders who would likely be impacted by the problem and any solution. Identify concerns — After identification, they take a proactive step to identify the needs and the potential concerns of each major stakeholder group. They also take the extra step to identify potential customer concerns. Modify based on concerns — They include a step to make changes in the solution selection criteria based on stakeholder needs or concerns. Stakeholder buy-in — Once they decide on the top two solutions, they proactively consult once again with major stakeholders in order to identify any additional problems and to get their final buy-in. After implementation feedback — After the solution is operational, they once again consult with major stakeholders to get their follow-up feedback. The first key learning related to hiring problem solvers should be that corporate executives need to understand the current importance of problem solving on future organizational growth and innovation. As project work (related to new processes, products, and technology) grows as the most accurate description of most corporate work, the importance of problem-solving “the right way” will continue to grow. The next step for dramatically improving organizational problem-solving is to realize that no one in any professional position should be hired until they have demonstrated their ability to solve the type of real problems that they will face in their new job. And, if you want to be strategic and make a dramatic improvement in your organization’s problem-solving ability, recruiting leaders need to convince individual hiring managers that two additional selection criteria must be a candidate’s level of intellectual curiosity and their insistence on consulting with stakeholders. Fortunately, there are many ways to assess these two traits, but unfortunately, I have found that less than 5 percent of corporations proactively require and assess these two critical characteristics.